Our first official concert! At Talbieh Camp. The flat we are staying in is situated above a kindergarten and today we were invited to do a workshop with the children there. They were 4 and 5 years old and were adorable. The workshop started with some name and icebreaker games. To break up the monotony of the name game, as most of them had similar names (Mohammed, Youssef), we asked them to say their age as well. However, it turned out they were all five so we were ecstatic when one said he was 4. Other games we played included the train game, stop the music and mirror game, which they very much enjoyed. After we had a flower meditation which was simplified for the kids and helped them to visualise the process making it easy for them to understand. 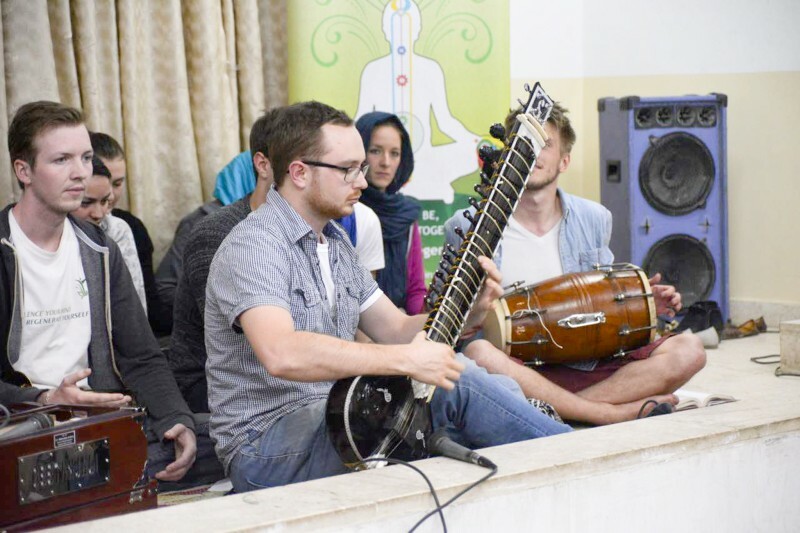 They enthusiastically participated in the mediation exercise then sat peacefully as Anton played some relaxing Sitar music. We asked them if they felt anything afterwards and many said they felt calm. This was followed by our first session of music and dance performances of the tour, which was a great warm up for the concert we had planned in the evening. 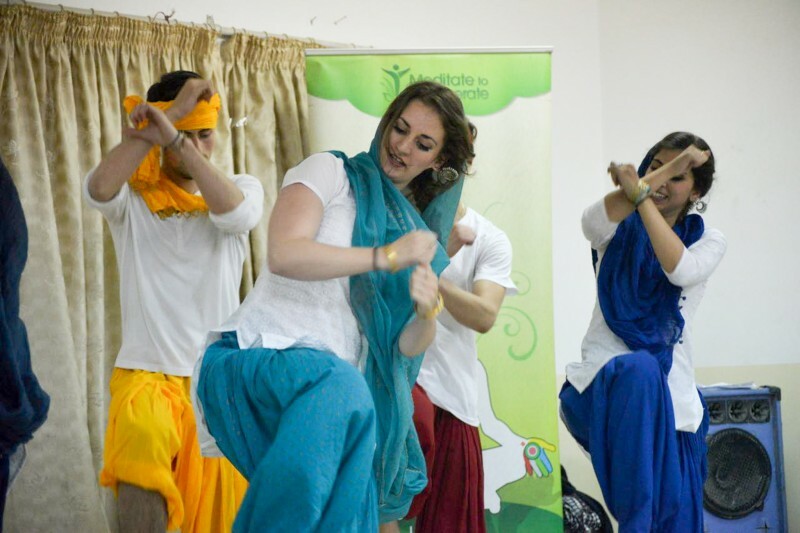 We sang some energetic Indian songs and performed two dances. The teachers and students seemed very happy, and as we left we were bombarded with hugs and asked to return in the future. 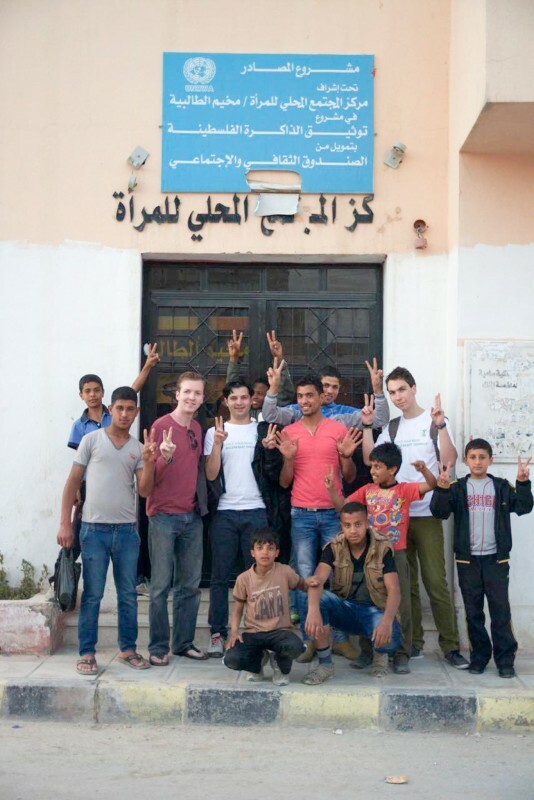 In the evening we performed our first concert at Talbieh refugee camp with a lot of men, women and kids, who had attended some of our meditation sessions. Some of the women were wearing abbayas, but it was so easy to recognize them after having spent a few hours with them. They greeted us with warm hugs and introduced us to their children. Setting up the mics and speakers was quite a challenge as we had a very old sound system, but when we were ready we started with some group songs and then with a few individual dance and guitar performances. We had a small meditation session in the middle which was restless, but compared to our previous sessions with the men in the camp was surprisingly silent. We ended with a final Bhangra dance which was a big hit and we were asked to perform it once more. We then spent some time getting to know some of the visitors and took many photos with them. One of the ladies who had attended our sessions had made a delicious chocolate cake for us and had brought us presents. Palestinian women have such big hearts and are so hospitable. We are happy we got to spend time with these people, getting to know and appreciate their culture.